In case you hadn’t noticed, political tensions have been pretty high of late. But if you thought things were bad already, buckle up, because you ain’t seen nothing yet. 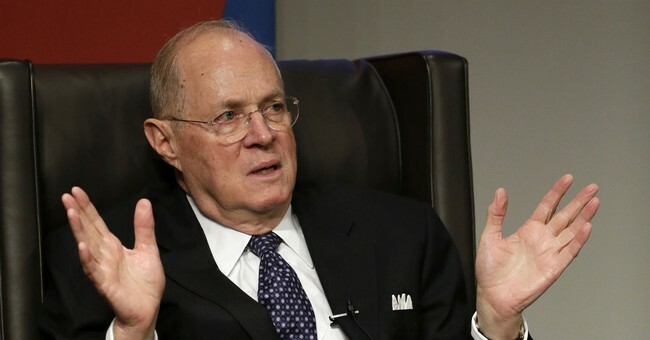 That’s right, last week’s retirement announcement of Anthony Kennedy, the Supreme Court’s “swing” vote on many key issues, is about to turn what has been a steady, rolling political boil into a volcano-like eruption of Vesuvian proportions. To use a football metaphor (yeah, I’m going to use a few sports metaphors in this one, so buckle up for those too), before November 2016, conservatives were literally facing a 4th and 25 on their own 10 yard line with about 1 minute left on the clock. Thankfully, the “Hail Mary” that was Donald Trump taking a sledgehammer to that Blue Wall put us back in the game, for now. Then came the Gorsuch pick, where Senate Majority Leader Mitch McConnell’s “run-out-the-clock” strategy succeeded in a crucial “hold-serve” for Republicans (for you non-sportsy readers, that’s tennis and yes, it’s the perfect analogy). Had the Senate confirmed President Obama's pick, Merrick Garland, or had a victorious Hillary Clinton been able to pick someone who made Che Guevara look like a conservative, the GOP, and America, would have literally been unconscious on the mat, down for the count. But we got Gorsuch, thank God, and now we’ve got a better than average shot at making it 5-4 for the home team. To go to back to the football analogy, we’ve got a new set of downs, but we’ve still got a long way to go. Which brings us back to the fact that, as Obama repeatedly said, elections have consequences. Sure, every presidential election is typically portrayed, at least by conservatives, as “the mostest importantest election ever.” But one election has to really be it, right? Well, so far at least, it looks like 2016 may have won the prize. And as it happens, everyone who felt this way was vindicated last week when we found out that President Trump will indeed get to make a second pick for the Supreme Court. Except this time, Trump will be replacing a moderate, not a conservative. Which means this isn’t a “hold serve” pick like the one to replace Scalia, but it isn’t quite a “service break” pick either. Sure, we’re talking about the guy who voted with conservatives in several key decisions this year, including upholding President Trump’s travel ban, but he also gave us gay marriage and over the last three court sessions before this last term voted with liberals 65 percent of the time. The bottom line is, whoever replaces Kennedy will be the deciding vote in key decisions going forward and liberals, facing a 4th and something situation of their own, are right to be more than a little concerned. Thankfully, absent a major GOP screw-up there’s not a lot they can do. Leftist documentary filmmaker Michael Moore’s own “Hail Mary” plan to stop the confirmation, if the Senate can’t delay it until after the midterms, includes surrounding the United States Capitol building with “a million other people,” or something. Sounds like hysteria, but barring some unforeseen tragedy Moore is likely to be correct, at least on the “right wing court” part. However, Republicans had BETTER keep their collective eye on the ball here. While we certainly have a chance to stop the courts from ruling that the Second Amendment only allows single-shot muskets, the United States has a Constitutional obligation to accept anyone and everyone who wants to move here, and Americans have the “right” to a guaranteed income of $100,000 a year (because as we all know liberal judges and courts essentially make up their own laws these days), the days of GOP control of the other two branches are far less certain. We can and should try to curb immigration and reach as many minorities with our message as will listen, but clear-eyed Democrats know the demographics are in their favor. They’ve been playing the long game for a long while, and they know the battle to replace Kennedy, even if eventually lost, is but a battle in a long war that’s likely to go their way. Sure, we’re about to score another touchdown and maybe even take the lead, but there’s plenty of time left on the clock and their players are much more rested, and athletic, than ours. In other words, it’s likely only a matter of time. Liberals are hysterical now because they think we’re going to impose on them, take something away from them or alter their lives in some way, but it is they who want to do taking, and the altering, and the imposing. All the delightful liberal tears aside, they have little if anything to lose other than the thwarting of their socialist agenda. It is we who risk everything. It’s the brute tyranny liberals want to install that should be causing ordinary Americans to recoil in disgust, yet somehow they keep winning elections and staying relevant. We haven’t tried socialism yet, but rather than learn from its sordid, bloody history elsewhere we’re bound and determined to give it a go and find out for ourselves. President Trump had better make another solid pick, and McConnell had better move mountains to confirm that pick well before the midterms, even if there’s only a five percent chance the Democrats retake the Senate. Because someday, this “right wing court” may be the only thing standing between many of us and the gulags. And that, folks, is no game.